Beautiful Stained Glass Carousel Horse. Bright colors with colorful reins on the horse. For more information call (713) 899-0933!!! This entry was posted on January 13, 2011 by alliekayglass. 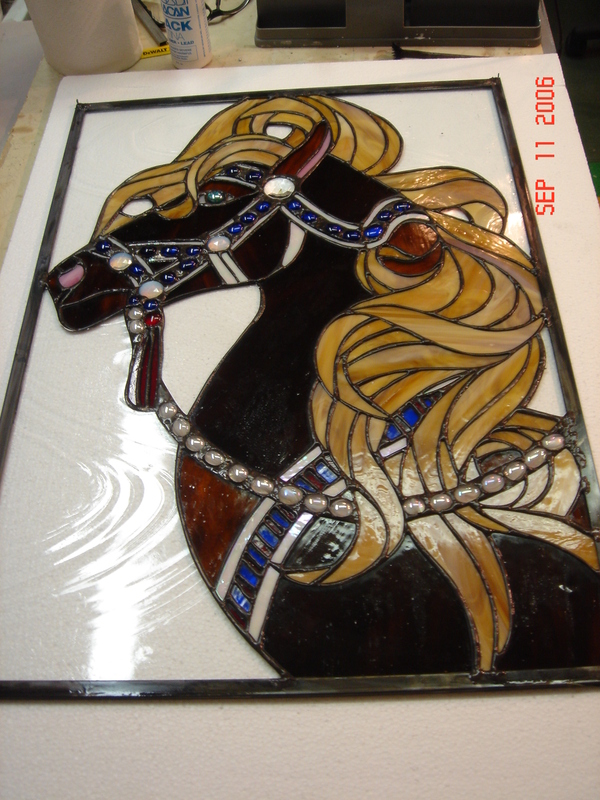 It was filed under Stained Glass and was tagged with Carousel, horse, jewels, Stained Glass, Window.